The provisions of the Florida statutes that permit the filing of mechanics liens and materialmen's liens can be found in Florida's Construction Lien Law, Florida Code § 713.001 et. seq. The full text of the Florida Construction Lien Law is provided below, and has been updated as of 2011. 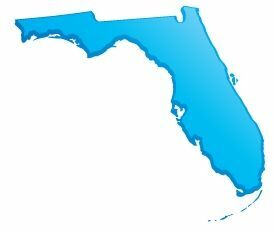 To see a quick synopsis of the most important provisions, take a look at our Florida Frequently Asked Questions page. As used in this part, the term: (1) “Abandoned property” means all tangible personal property that has been disposed of on public property in a wrecked, inoperative, or partially dismantled condition. (2) “Architect” means a person or firm that is authorized to practice architecture pursuant to chapter 481 or a general contractor who provides architectural services under a design-build contract authorized by s. 481.229(3). (3) “Claim of lien” means the claim recorded as provided in s. 713.08. (4) “Clerk’s office” means the office of the clerk of the circuit court of the county in which the real property is located. (5) “Commencement of the improvement” means the time of filing for record of the notice of commencement provided in s. 713.13. (6) “Contract” means an agreement for improving real property, written or unwritten, express or implied, and includes extras or change orders. (7) “Contract price” means the amount agreed upon by the contracting parties for performing all labor and services and furnishing all materials covered by their contract and must be increased or diminished by the price of extras or change orders, or by any amounts attributable to changes in the scope of the work or defects in workmanship or materials or any other breaches of the contract; but no penalty or liquidated damages between the owner and a contractor diminishes the contract price as to any other lienor. If no price is agreed upon by the contracting parties, this term means the value of all labor, services, or materials covered by their contract, with any increases and diminutions, as provided in this subsection. Allowance items are a part of the contract when accepted by the owner. (8) “Contractor” means a person other than a materialman or laborer who enters into a contract with the owner of real property for improving it, or who takes over from a contractor as so defined the entire remaining work under such contract. The term “contractor” includes an architect, landscape architect, or engineer who improves real property pursuant to a design-build contract authorized by s. 489.103(16). (9) “Direct contract” means a contract between the owner and any other person. (10) “Engineer” means a person or firm that is authorized to practice engineering pursuant to chapter 471 or a general contractor who provides engineering services under a design-build contract authorized by s. 471.003(2)(i). (11) “Extras or change orders” means labor, services, or materials for improving real property authorized by the owner and added to or deleted from labor, services, or materials covered by a previous contract between the same parties. (12) “Final furnishing” means the last date that the lienor furnishes labor, services, or materials. Such date may not be measured by other standards, such as the issuance of a certificate of occupancy or the issuance of a certificate of final completion, and does not include correction of deficiencies in the lienor’s previously performed work or materials supplied. With respect to rental equipment, the term means the date that the rental equipment was last on the job site and available for use. (13) “Furnish materials” means supply materials which are incorporated in the improvement including normal wastage in construction operations; or specially fabricated materials for incorporation in the improvement, not including any design work, submittals, or the like preliminary to actual fabrication of the materials; or supply materials used for the construction and not remaining in the improvement, subject to diminution by the salvage value of such materials; and includes supplying rental equipment , but does not include supplying handtools. The delivery of materials to the site of the improvement is prima facie evidence of incorporation of such materials in the improvement. The delivery of rental equipment to the site of the improvement is prima facie evidence of the period of the actual use of the rental equipment from the delivery through the time the equipment is last available for use at the site, or 2 business days after the lessor of the rental equipment receives a written notice from the owner or the lessee of the rental equipment to pick up the equipment, whichever occurs first. (14) “Improve” means build, erect, place, make, alter, remove, repair, or demolish any improvement over, upon, connected with, or beneath the surface of real property, or excavate any land, or furnish materials for any of these purposes, or perform any labor or services upon the improvements, including the furnishing of carpet or rugs or appliances that are permanently affixed to the real property and final construction cleanup to prepare a structure for occupancy; or perform any labor or services or furnish any materials in grading, seeding, sodding, or planting for landscaping purposes, including the furnishing of trees, shrubs, bushes, or plants that are planted on the real property, or in equipping any improvement with fixtures or permanent apparatus or provide any solid-waste collection or disposal on the site of the improvement. (15) “Improvement” means any building, structure, construction, demolition, excavation, solid-waste removal, landscaping, or any part thereof existing, built, erected, placed, made, or done on land or other real property for its permanent benefit. (16) “Laborer” means any person other than an architect, landscape architect, engineer, surveyor and mapper, and the like who, under properly authorized contract, personally performs on the site of the improvement labor or services for improving real property and does not furnish materials or labor service of others. (17) “Lender” means any person who loans money to an owner for construction of an improvement to real property, who secures that loan by recording a mortgage on the real property, and who periodically disburses portions of the proceeds of that loan for the payment of the improvement. (f) A professional lienor under s. 713.03; and who has a lien or prospective lien upon real property under this part, and includes his or her successor in interest. No other person may have a lien under this part. (19) “Lienor giving notice” means any lienor, except a contractor, who has duly and timely served a notice to the owner and, if required, to the contractor and subcontractor, as provided in s. 713.06(2). (20) “Materialman” means any person who furnishes materials under contract to the owner, contractor, subcontractor, or sub-subcontractor on the site of the improvement or for direct delivery to the site of the improvement or, for specially fabricated materials, off the site of the improvement for the particular improvement, and who performs no labor in the installation thereof. (21) “Notice by lienor” means the notice to owner served as provided in s. 713.06(2). (22) “Notice of commencement” means the notice recorded as provided in s. 713.13. (23) “Owner” means a person who is the owner of any legal or equitable interest in real property, which interest can be sold by legal process, and who enters into a contract for the improvement of the real property. The term includes a condominium association pursuant to chapter 718 as to improvements made to association property or common elements. The term does not include any political subdivision, agency, or department of the state, a municipality, or other governmental entity. (24) “Perform” or “furnish” when used in connection with the words “labor” or “services” or “materials” means performance or furnishing by the lienor or by another for him or her. (25) “Post” or “posting” means placing the document referred to on the site of the improvement in a conspicuous place at the front of the site and in a manner that protects the document from the weather. (26) “Real property” means the land that is improved and the improvements thereon, including fixtures, except any such property owned by the state or any county, municipality, school board, or governmental agency, commission, or political subdivision. (27) “Site of the improvement” means the real property which is being improved and on which labor or services are performed or materials furnished in furtherance of the operations of improving such real property. In cases of removal, without demolition and under contract, of an improvement from one lot, parcel, or tract of land to another, this term means the real property to which the improvement is removed. (28) “Subcontractor” means a person other than a materialman or laborer who enters into a contract with a contractor for the performance of any part of such contractor’s contract, including the removal of solid waste from the real property. The term includes a temporary help firm as defined in s. 443.101. (29) “Sub-subcontractor” means a person other than a materialman or laborer who enters into a contract with a subcontractor for the performance of any part of such subcontractor’s contract, including the removal of solid waste from the real property. The term includes a temporary help firm as defined in s. 443.101. Notices, demands, or requests permitted or required under this part, except any required by s. 713.14, must be in writing. (2)(a) If the contract is written, the notice must be in the contract document. If the contract is oral or implied, the notice must be provided in a document referencing the contract. (b) The failure to provide such written notice does not bar the enforcement of a lien against a person who has not been adversely affected. (c) This section may not be construed to adversely affect the lien and bond rights of lienors who are not in privity with the owner. This section does not apply when the owner is a contractor licensed under chapter 489 or is a person who created parcels or offers parcels for sale or lease in the ordinary course of business. (1) Persons performing the services described in s. 713.03 shall have rights to a lien on real property as provided in that section. (2) Persons performing services or furnishing materials for subdivision improvements as described in s. 713.04 shall have rights to a lien on real property as provided in that section. (3) Persons who are in privity with an owner and who perform labor or services or furnish materials constituting an improvement or part thereof shall have rights to a lien on real property as provided in s. 713.05. (4) Persons who are not in privity with an owner and who perform labor or services or furnish materials constituting a part of an improvement under the direct contract of another person shall have rights to a lien on real property as provided in s. 713.06. (5) Any improvement for which the direct contract price is $2,500 or less shall be exempt from all other provisions of this part except the provisions of s. 713.05. (6) The owner and contractor may agree that the contractor shall furnish a payment bond as provided in s. 713.23, and upon receipt of the bond the owner is exempt from the other provisions of this part as to that direct contract, but this does not exempt the owner from the lien of the contractor who furnishes the bond. If the bond is provided, it shall secure all liens subsequently accruing under this part as provided in s. 713.23. (7) Notwithstanding any other provision of this part, no lien shall exist in favor of any contractor, subcontractor, or sub-subcontractor who is unlicensed as provided in s. 489.128 or s. 489.532. Notwithstanding any other provision of this part, if a contract is rendered unenforceable by an unlicensed contractor, subcontractor, or sub-subcontractor pursuant to s. 489.128 or s. 489.532, such unenforceability shall not affect the rights of any other persons to enforce contract, lien, or bond remedies and shall not affect the obligations of a surety that has provided a bond on behalf of the unlicensed contractor, subcontractor, or sub-subcontractor. It shall not be a defense to any claim on a bond or indemnity agreement that the principal or indemnitor is unlicensed as provided in s. 489.128 or s. 489.532. (1) Any person who performs services as architect, landscape architect, interior designer, engineer, or surveyor and mapper, subject to compliance with and the limitations imposed by this part, has a lien on the real property improved for any money that is owing to him or her for his or her services used in connection with improving the real property or for his or her services in supervising any portion of the work of improving the real property, rendered in accordance with his or her contract and with the direct contract. (2) Any architect, landscape architect, interior designer, engineer, or surveyor and mapper who has a direct contract and who in the practice of his or her profession shall perform services, by himself or herself or others, in connection with a specific parcel of real property and subject to said compliances and limitations, shall have a lien upon such real property for the money owing to him or her for his or her professional services, regardless of whether such real property is actually improved. (3) No liens under this section shall be acquired until a claim of lien is recorded. No lienor under this section shall be required to serve a notice to owner as provided in s. 713.06(2) or an affidavit concerning unpaid lienors as provided in s. 713.06(3). (2) If a lienor under this section who is not in privity with the owner serves a notice on the owner in accordance with the provisions of s. 713.06(2), payment of lienors by the owner under this section shall be governed by s. 713.06(3)(c), (d), (e), (f), (g), (h), and (4). A materialman or laborer, either of whom is in privity with the owner, or a contractor who complies with the provisions of this part shall, subject to the limitations thereof, have a lien on the real property improved for any money that is owed to him or her for labor, services, materials, or other items required by, or furnished in accordance with, the direct contract and for unpaid finance charges due under the lienor’s contract. A materialman or laborer, in privity with the owner, or a contractor shall also have a lien on the owner’s real property for any money that is owed to him or her for labor, services, or materials furnished to improve public property if the improvements to the public property are a condition of the permit to improve the owner’s real property. No lien under this section shall be acquired until a claim of lien is recorded. A lienor who, as a subcontractor, sub-subcontractor, laborer, or materialman not in privity with the owner, commences to furnish labor, services, or material to an improvement and who thereafter becomes in privity with the owner shall have a lien for any money that is owed to him or her for the labor, services, or materials furnished after he or she becomes in privity with the owner. A lienor may record one claim of lien to cover both his or her work done in privity with the owner and not in privity with the owner. No lienor under this section shall be required to serve a notice to owner as provided in s. 713.06(2). A lienor, except a laborer or materialman, who is in privity with the owner and claims a lien under this section shall furnish the contractor’s affidavit required in s. 713.06(3)(d). A contractor may claim a lien for any labor, services, or materials furnished by another lienor for which he or she is obligated to pay the lienor, regardless of the right of the lienor to claim a lien; but, if the lienor claims a valid lien, the contractor shall not recover the amount of the lien recovered by the lienor, and the amount of the contractor’s claim of lien may be reduced accordingly by court order. No person shall have a lien under this section except those lienors specified in it, as their designations are defined in s. 713.01. (1) A materialman or laborer, either of whom is not in privity with the owner, or a subcontractor or sub-subcontractor who complies with the provisions of this part and is subject to the limitations thereof, has a lien on the real property improved for any money that is owed to him or her for labor, services, or materials furnished in accordance with his or her contract and with the direct contract and for any unpaid finance charges due under the lienor’s contract. A materialman or laborer, either of whom is not in privity with the owner, or a subcontractor or sub-subcontractor who complies with the provisions of this part and is subject to the limitations thereof, also has a lien on the owner’s real property for labor, services, or materials furnished to improve public property if the improvement of the public property is furnished in accordance with his or her contract and with the direct contract. The total amount of all liens allowed under this part for furnishing labor, services, or material covered by any certain direct contract must not exceed the amount of the contract price fixed by the direct contract except as provided in subsection (3). No person may have a lien under this section except those lienors specified in it, as their designations are defined in s. 713.01. (2)(a) All lienors under this section, except laborers, as a prerequisite to perfecting a lien under this chapter and recording a claim of lien, must serve a notice on the owner setting forth the lienor’s name and address, a description sufficient for identification of the real property, and the nature of the services or materials furnished or to be furnished. A sub-subcontractor or a materialman to a subcontractor must serve a copy of the notice on the contractor as a prerequisite to perfecting a lien under this chapter and recording a claim of lien. A materialman to a sub-subcontractor must serve a copy of the notice to owner on the contractor as a prerequisite to perfecting a lien under this chapter and recording a claim of lien. A materialman to a sub-subcontractor shall serve the notice to owner on the subcontractor if the materialman knows the name and address of the subcontractor. The notice must be served before commencing, or not later than 45 days after commencing, to furnish his or her labor, services, or materials, but, in any event, before the date of the owner’s disbursement of the final payment after the contractor has furnished the affidavit under subparagraph (3)(d)1. The notice must be served regardless of the method of payments by the owner, whether proper or improper, and does not give to the lienor serving the notice any priority over other lienors in the same category; and the failure to serve the notice, or to timely serve it, is a complete defense to enforcement of a lien by any person. The serving of the notice does not dispense with recording the claim of lien. The notice is not a lien, cloud, or encumbrance on the real property nor actual or constructive notice of any of them. (b) If the owner, in his or her notice of commencement, has designated a person in addition to himself or herself to receive a copy of such lienor’s notice, as provided in s. 713.13(1)(b), the lienor shall serve a copy of his or her notice on the person so designated. The failure by the lienor to serve such copy, however, does not invalidate an otherwise valid lien. --RECOGNIZE that this Notice to Owner may result in a lien against your property unless all those supplying a Notice to Owner have been paid. (d) A notice to an owner served on a lender must be in writing, must be served in accordance with s. 713.18, and shall be addressed to the persons designated, if any, and to the place and address designated in the notice of commencement. Any lender who, after receiving a notice provided under this subsection, pays a contractor on behalf of the owner for an improvement shall make proper payments as provided in paragraph (3)(c) as to each such notice received by the lender. The failure of a lender to comply with this paragraph renders the lender liable to the owner for all damages sustained by the owner as a result of that failure. This paragraph does not give any person other than an owner a claim or right of action against a lender for the failure of the lender to comply with this paragraph. Further, this paragraph does not prohibit a lender from disbursing construction funds at any time directly to the owner, in which event the lender has no obligation to make proper payments under this paragraph. (e) A lienor, in the absence of a recorded notice of commencement, may rely on the information contained in the building permit application to serve the notice prescribed in paragraphs (a), (b), and (c). (f) If a lienor has substantially complied with the provisions of paragraphs (a), (b), and (c), errors or omissions do not prevent the enforcement of a claim against a person who has not been adversely affected by such omission or error. However, a lienor must strictly comply with the time requirements of paragraph (a). (a) If the description of the property in the notice prescribed by s. 713.13 is incorrect and the error adversely affects any lienor, payments made on the direct contract shall be held improperly paid to that lienor; but this does not apply to clerical errors when the description listed covers the property where the improvements are. (b) The owner may pay to any laborers the whole or any part of the amounts that shall then be due and payable to them respectively for labor or services performed by them and covered by the direct contract, and shall deduct the same from the balance due the contractor under a direct contract. 5. If the contract is terminated before completion, the contractor shall comply with subparagraph (d)1. Sworn to and subscribed before me this ____ day of ____ by (name of affiant) , who is personally known to me or produced_____ as identification, and did take an oath. 2. If the contractor’s affidavit required in this subsection recites any outstanding bills for labor, services, or materials, the owner may, after giving the contractor at least 10 days’ written notice, pay such bills in full direct to the person or firm to which they are due, if the balance due on a direct contract at the time the affidavit is given is sufficient to pay them and lienors giving notice, and shall deduct the amounts so paid from the balance due the contractor. Lienors listed in said affidavit not giving notice, whose 45-day notice time has not expired, shall be paid in full or pro rata, as appropriate, from any balance then remaining due the contractor; but no lienor whose notice time has expired shall be paid by the owner or by any other person except the person with whom that lienor has a contract. 3. If the balance due is not sufficient to pay in full all lienors listed in the affidavit and entitled to payment from the owner under this part and other lienors giving notice, the owner shall pay no money to anyone until such time as the contractor has furnished him or her with the difference; however, if the contractor fails to furnish the difference within 10 days from delivery of the affidavit or notice from the owner to the contractor to furnish the affidavit, the owner shall determine the amount due each lienor and shall disburse to them the amounts due from him or her on a direct contract in accordance with the procedure established by subsection (4). 4. The owner shall have the right to rely on the contractor’s affidavit given under this paragraph in making the final payment, unless there are lienors giving notice who are not listed in the affidavit. If there are lienors giving notice who are not so listed, the owner may pay such lienors and any persons listed in the affidavit that are entitled to be paid by the owner under subparagraph 2. and shall thereupon be discharged of any further responsibility under the direct contract, except for any balance that may be due to the contractor. 5. The owner shall retain the final payment due under the direct contract that shall not be disbursed until the contractor’s affidavit under subparagraph 1. has been furnished to the owner. 6. When final payment has become due to the contractor and the owner fails to withhold as required by subparagraph 5., the property improved shall be subject to the full amount of all valid liens of which the owner has notice at the time the contractor furnishes his or her affidavit. (e) If the improvement is abandoned before completion, the owner shall determine the amount due each lienor giving notice and shall pay the same in full or prorate in the same manner as provided in subsection (4). (f) No contractor shall have any right to require the owner to pay any money to him or her under a direct contract if such money cannot be properly paid by the owner to the contractor in accordance with this section. (g) Except with written consent of the contractor, before paying any money directly to any lienor except the contractor or any laborer, the owner shall give the contractor at least 10 days’ written notice of his or her intention to do so, and the amount he or she proposes to pay each lienor. (h) When the owner has properly retained all sums required in this section to be retained but has otherwise made improper payments, the owner’s real property shall be liable to all laborers, subcontractors, sub-subcontractors, and materialmen complying with this chapter only to the extent of the retentions and the improper payments, notwithstanding the other provisions of this subsection. Any money paid by the owner on a direct contract, the payment of which is proved to have caused no detriment to any certain lienor, shall be held properly paid as to the lienor, and if any of the money shall be held not properly paid as to any other lienors, the entire benefit of its being held not properly paid as to them shall go to the lienors. 1. Liens of all laborers. 2. Liens of all persons other than the contractor. 3. Lien of the contractor. (b) Should the total amount for which liens under such direct contract may be allowed be less than the total amount of liens under such contract in all classes above mentioned, all liens in a class shall be allowed for their full amounts before any liens shall be allowed to any subsequent class. Should the amount applicable to the liens of any single class be insufficient to permit all liens within that class to be allowed for their full amounts, each lien shall be allowed for its pro rata share of the total amount applicable to liens of that class; but if the same labor, services, or materials shall be covered by liens of more than one class, such labor, services, or materials shall be allowed only in the earliest class by which they shall be covered; and also if the same labor, services, or materials shall be covered by liens of two or more lienors of the same class, such labor, services, or materials shall be allowed only in the lien of the lienor farthest removed from the contractor. This section shall not be construed to affect the priority of liens derived under separate direct contracts. (1) Liens under ss. 713.03 and 713.04 shall attach at the time of recordation of the claim of lien and shall take priority as of that time. (2) Liens under ss. 713.05 and 713.06 shall attach and take priority as of the time of recordation of the notice of commencement, but in the event a notice of commencement is not filed, then such liens shall attach and take priority as of the time the claim of lien is recorded. (3) All such liens shall have priority over any conveyance, encumbrance or demand not recorded against the real property prior to the time such lien attached as provided herein, but any conveyance, encumbrance or demand recorded prior to the time such lien attaches and any proceeds thereof, regardless of when disbursed, shall have priority over such liens. (4) If construction ceases or the direct contract is terminated before completion and the owner desires to recommence construction, he or she may pay all lienors in full or pro rata in accordance with s. 713.06(4) prior to recommencement in which event all liens for the recommenced construction shall take priority from such recommencement; or the owner may record an affidavit in the clerk’s office stating his or her intention to recommence construction and that all lienors giving notice have been paid in full except those listed therein as not having been so paid in which event 30 days after such recording, the rights of any person acquiring any interest, lien, or encumbrance on said property or of any lienor on the recommenced construction shall be paramount to any lien on the prior construction unless such prior lienor records a claim of lien within said 30-day period. A copy of said affidavit shall be served on each lienor named therein. Before recommencing, the owner shall record and post a notice of commencement for the recommenced construction, as provided in s. 713.13. (a) The name of the lienor and the address where notices or process under this part may be served on the lienor. (b) The name of the person with whom the lienor contracted or by whom she or he was employed. (c) The labor, services, or materials furnished and the contract price or value thereof. Materials specially fabricated at a place other than the site of the improvement for incorporation in the improvement but not so incorporated and the contract price or value thereof shall be separately stated in the claim of lien. (d) A description of the real property sufficient for identification. (e) The name of the owner. (f) The time when the first and the last item of labor or service or materials was furnished. (g) The amount unpaid the lienor for such labor or services or materials and for unpaid finance charges due under the lienor’s contract. (h) If the lien is claimed by a person not in privity with the owner, the date and method of service of the notice to owner. If the lien is claimed by a person not in privity with the contractor or subcontractor, the date and method of service of the copy of the notice on the contractor or subcontractor. (2) The claim of lien may be prepared by the lienor or the lienor’s employee or attorney and shall be signed and sworn to or affirmed by the lienor or the lienor’s agent acquainted with the facts stated therein. (3) The claim of lien shall be sufficient if it is in substantially the following form, and includes the following warning: WARNING! (4)(a) The omission of any of the foregoing details or errors in such claim of lien shall not, within the discretion of the trial court, prevent the enforcement of such lien as against one who has not been adversely affected by such omission or error. (b) Any claim of lien recorded as provided in this part may be amended at any time during the period allowed for recording such claim of lien, provided that such amendment shall not cause any person to suffer any detriment by having acted in good faith in reliance upon such claim of lien as originally recorded. Any amendment of the claim of lien shall be recorded in the same manner as provided for recording the original claim of lien. (c) The claim of lien shall be served on the owner. Failure to serve any claim of lien in the manner provided in s. 713.18 before recording or within 15 days after recording shall render the claim of lien voidable to the extent that the failure or delay is shown to have been prejudicial to any person entitled to rely on the service. (5) The claim of lien may be recorded at any time during the progress of the work or thereafter but not later than 90 days after the final furnishing of the labor or services or materials by the lienor. However, if the original contract is terminated under s. 713.07(4), a claim for a lien attaching prior to such termination may not be recorded after 90 days following the date of such termination or 90 days after the final furnishing of labor, services, or materials by the lienor, whichever occurs first. The claim of lien shall be recorded in the clerk’s office. If such real property is situated in two or more counties, the claim of lien shall be recorded in the clerk’s office in each of such counties. The recording of the claim of lien shall be constructive notice to all persons of the contents and effect of such claim. The validity of the lien and the right to record a claim therefor shall not be affected by the insolvency, bankruptcy, or death of the owner before the claim of lien is recorded. (a) The name of the lessor. (b) The legal description of the parcel of land to which the notice applies. (c) The specific language contained in the various leases prohibiting such liability. (d) A statement that all leases entered into for premises on the parcel of land contain the language identified in paragraph (c). (3) The lessee is a mobile home owner who is leasing a mobile home lot in a mobile home park from the lessor. When the contract for improving real property is made with a husband or wife who is not separated and living apart from his or her spouse and the property is owned by the other or by both, the spouse who contracts shall be deemed to be the agent of the other to the extent of subjecting the right, title, or interest of the other in said property to liens under this part unless such other shall, within 10 days after learning of such contract, give the contractor and record in the clerk’s office, notice of his or her objection thereto. 1. A description sufficient for identification of the real property to be improved. The description should include the legal description of the property and also should include the street address and tax folio number of the property if available or, if there is no street address available, such additional information as will describe the physical location of the real property to be improved. 2. A general description of the improvement. 3. The name and address of the owner, the owner’s interest in the site of the improvement, and the name and address of the fee simple titleholder, if other than such owner. 4. The name and address of the contractor. 5. The name and address of the surety on the payment bond under s. 713.23, if any, and the amount of such bond. 6. The name and address of any person making a loan for the construction of the improvements. 7. The name and address within the state of a person other than himself or herself who may be designated by the owner as the person upon whom notices or other documents may be served under this part; and service upon the person so designated constitutes service upon the owner. (b) The owner, at his or her option, may designate a person in addition to himself or herself to receive a copy of the lienor’s notice as provided in s. 713.06(2)(b), and if he or she does so, the name and address of such person must be included in the notice of commencement. 2. General description of improvement: _____. a. Name and address: _____. b. Interest in property: _____. c. Name and address of fee simple titleholder (if other than Owner): _____. 7. a. Persons within the State of Florida designated by Owner upon whom notices or other documents may be served as provided by Section 713.13(1)(a) 7., Florida Statutes: (name and address) . b. Phone numbers of designated persons: _____. 8. a. In addition to himself or herself, Owner designates _______________ of _______________ to receive a copy of the Lienor’s Notice as provided in Section 713.13(1)(b), Florida Statutes. The foregoing instrument was acknowledged before me this _____ day of __________, (year) , by (name of person) as (type of authority, ... e.g. officer, trustee, attorney in fact) for (name of party on behalf of whom instrument was executed) . (e) A copy of any payment bond must be attached at the time of recordation of the notice of commencement. The failure to attach a copy of the bond to the notice of commencement when the notice is recorded negates the exemption provided in s. 713.02(6). However, if a payment bond under s. 713.23 exists but was not attached at the time of recordation of the notice of commencement, the bond may be used to transfer any recorded lien of a lienor except that of the contractor by the recordation and service of a notice of bond pursuant to s. 713.23(2). The notice requirements of s. 713.23 apply to any claim against the bond; however, the time limits for serving any required notices shall begin running from the later of the time specified in s. 713.23 or the date the notice of bond is served on the lienor. (f) The giving of a notice of commencement is effective upon the filing of the notice in the clerk’s office. (2) If the improvement described in the notice of commencement is not actually commenced within 90 days after the recording thereof, such notice is void and of no further effect. (7) A lender must, prior to the disbursement of any construction funds to the contractor, record the notice of commencement in the clerk’s office as required by this section; however, the lender is not required to post a certified copy of the notice at the construction site. The posting of the notice at the construction site remains the owner’s obligation. The failure of a lender to record the notice of commencement as required by this subsection renders the lender liable to the owner for all damages sustained by the owner as a result of the failure. Whenever a lender is required to record a notice of commencement, the lender shall designate the lender, in addition to others, to receive copies of notices to owner. This subsection does not give any person other than the owner a claim or right of action against a lender for failure to record a notice of commencement. (f) A statement that the owner has, before recording the notice of termination, served a copy of the notice of termination on the contractor and on each lienor who has given notice. The owner is not required to serve a copy of the notice of termination on any lienor who has executed a waiver and release of lien upon final payment in accordance with s. 713.20. (4) A notice of termination is effective to terminate the notice of commencement at the later of 30 days after recording of the notice of termination or the date stated in the notice of termination as the date on which the notice of commencement is terminated, provided that the notice of termination has been served pursuant to paragraph (1)(f) on the contractor and on each lienor who has given notice. " (b) Provide the applicant and the owner of the real property upon which improvements are to be constructed with a printed statement stating that the right, title, and interest of the person who has contracted for the improvement may be subject to attachment under the Construction Lien Law. The Department of Business and Professional Regulation shall furnish, for distribution, the statement described in this paragraph, and the statement must be a summary of the Construction Lien Law and must include an explanation of the provisions of the Construction Lien Law relating to the recording, and the posting of copies, of notices of commencement and a statement encouraging the owner to record a notice of commencement and post a copy of the notice of commencement in accordance with s. 713.13. The statement must also contain an explanation of the owner’s rights if a lienor fails to furnish the owner with a notice as provided in s. 713.06(2) and an explanation of the owner’s rights as provided in s. 713.22. The authority that issues the building permit must obtain from the Department of Business and Professional Regulation the statement required by this paragraph and must mail, deliver by electronic mail or other electronic format or facsimile, or personally deliver that statement to the owner or, in a case in which the owner is required to personally appear to obtain the permit, provide that statement to any owner making improvements to real property consisting of a single or multiple family dwelling up to and including four units. However, the failure by the authorities to provide the summary does not subject the issuing authority to liability. (c) In addition to providing the owner with the statement as required by paragraph (b), inform each applicant who is not the person whose right, title, and interest is subject to attachment that, as a condition to the issuance of a building permit, the applicant must promise in good faith that the statement will be delivered to the person whose property is subject to attachment. (d) Furnish to the applicant two or more copies of a form of notice of commencement conforming with s. 713.13. If the direct contract is greater than $2,500, the applicant shall file with the issuing authority prior to the first inspection either a certified copy of the recorded notice of commencement or a notarized statement that the notice of commencement has been filed for recording, along with a copy thereof. In the absence of the filing of a certified copy of the recorded notice of commencement, the issuing authority or a private provider performing inspection services may not perform or approve subsequent inspections until the applicant files by mail, facsimile, hand delivery, or any other means such certified copy with the issuing authority. The certified copy of the notice of commencement must contain the name and address of the owner, the name and address of the contractor, and the location or address of the property being improved. The issuing authority shall verify that the name and address of the owner, the name of the contractor, and the location or address of the property being improved which is contained in the certified copy of the notice of commencement is consistent with the information in the building permit application. The issuing authority shall provide the recording information on the certified copy of the recorded notice of commencement to any person upon request. This subsection does not require the recording of a notice of commencement prior to the issuance of a building permit. If a local government requires a separate permit or inspection for installation of temporary electrical service or other temporary utility service, land clearing, or other preliminary site work, such permits may be issued and such inspections may be conducted without providing the issuing authority with a certified copy of a recorded notice of commencement or a notarized statement regarding a recorded notice of commencement. This subsection does not apply to a direct contract to repair or replace an existing heating or air-conditioning system in an amount less than $7,500. (2) An issuing authority under subsection (1) is not liable in any civil action for the failure of the person whose property is subject to attachment to receive or to be delivered a printed statement stating that the right, title, and interest of the person who has contracted for the improvement may be subject to attachment under the Construction Lien Law. (3) An issuing authority under subsection (1) is not liable in any civil action for the failure to verify that a certified copy of the recorded notice of commencement has been filed in accordance with this section. (4) The several boards of county commissioners, municipal councils, or other similar bodies may by ordinance or resolution establish reasonable fees for furnishing copies of the forms and the printed statement provided in paragraphs (1)(b) and (d) in an amount not to exceed $5 to be paid by the applicant for each permit in addition to all other costs of the permit; however, no forms or statement need be furnished, mailed, or otherwise provided to, nor may such additional fee be obtained from, applicants for permits in those cases in which the owner of a legal or equitable interest (including that of ownership of stock of a corporate landowner) of the real property to be improved is engaged in the business of construction of buildings for sale to others and intends to make the improvements authorized by the permit on the property and upon completion will offer the improved real property for sale. (d) The number or identifying symbol assigned to the building permit by the issuing authority, which number or symbol must be affixed to the application by the issuing authority. Application is hereby made to obtain a permit to do the work and installations as indicated. I certify that no work or installation has commenced prior to the issuance of a permit and that all work will be performed to meet the standards of all laws regulating construction in this jurisdiction. I understand that a separate permit must be secured for ELECTRICAL WORK, PLUMBING, SIGNS, WELLS, POOLS, FURNACES, BOILERS, HEATERS, TANKS, and AIR CONDITIONERS, etc. OWNER’S AFFIDAVIT: I certify that all the foregoing information is accurate and that all work will be done in compliance with all applicable laws regulating construction and zoning. WARNING TO OWNER: YOUR FAILURE TO RECORD A NOTICE OF COMMENCEMENT MAY RESULT IN YOUR PAYING TWICE FOR IMPROVEMENTS TO YOUR PROPERTY. A NOTICE OF COMMENCEMENT MUST BE RECORDED AND POSTED ON THE JOB SITE BEFORE THE FIRST INSPECTION. IF YOU INTEND TO OBTAIN FINANCING, CONSULT WITH YOUR LENDER OR AN ATTORNEY BEFORE COMMENCING WORK OR RECORDING YOUR NOTICE OF COMMENCEMENT. OWNER’S ELECTRONIC SUBMISSION STATEMENT: Under penalty of perjury, I declare that all the information contained in this building permit application is true and correct. (c) An authority responsible for issuing building permit applications which accepts building permit applications in an electronic format shall provide public Internet access to the electronic building permit applications in a searchable format. (7) This section applies to every municipality and county in the state which now has or hereafter may have a system of issuing building permits for the construction of improvements or for the alteration or repair of improvements on or to real property located within the geographic limits of the issuing authority. (2) When a payment for materials is made to a subcontractor, sub-subcontractor, or materialman, the subcontractor, sub-subcontractor, or materialman shall demand of the person making the payment a designation of the account and the items of account to which the payment is to apply. In any case in which a lien is claimed for materials furnished by a subcontractor, sub-subcontractor, or materialman, it is a defense to the claim, to the extent of the payment made, to prove that a payment made by the owner to the contractor for the materials has been paid over to the subcontractor, sub-subcontractor, or materialman, and to prove also that when such payment was received by such subcontractor, sub-subcontractor, or materialman she or he did not demand a designation of the account and of the items of account to which the payment was to be applied or, receiving a designation of its application to the account for the materials, she or he failed to apply the payment in accordance therewith. This subsection is cumulative to any other defenses available to the person paying the materialman, subcontractor, or sub-subcontractor. If for any reason the completion of an improvement is abandoned or though the improvement is completed, materials delivered are not used therefor, a person who has delivered materials for the improvement which have not been incorporated therein and for which he or she has not received payment may peaceably repossess and remove such materials or replevy the same and thereupon he or she shall have no lien on the real property or improvements and no right against any persons for the price thereof, but shall have the same rights in regard to the materials as if he or she had never parted with their possession. This right to repossess and remove or replevy the materials shall not be affected by their sale, encumbrance, attachment, or transfer from the site of improvement, except that if the materials have been so transferred, the right to repossess or replevy them shall not be effective as against a purchaser or encumbrancer thereof in good faith whose interest therein is acquired after such transfer from the site of the improvement or as against a creditor attaching after such transfer. The right of repossession and removal given by this section shall extend only to materials whose purchase price does not exceed the amount remaining due to the person repossessing but where materials have been partly paid for, the person delivering them may repossess them as allowed in this section on refunding the part of the purchase price which has been paid. (2) The owner may serve in writing a demand of any lienor for a written statement under oath of his or her account showing the nature of the labor or services performed and to be performed, if any, the materials furnished, the materials to be furnished, if known, the amount paid on account to date, the amount due, and the amount to become due, if known, as of the date of the statement by the lienor. Any such demand to a lienor must be served on the lienor at the address and to the attention of any person who is designated to receive the demand in the notice to owner served by such lienor. The failure or refusal to furnish the statement does not deprive the lienor of his or her lien if the demand is not served at the address of the lienor or directed to the attention of the person designated to receive the demand in the notice to owner. The failure or refusal to furnish the statement under oath within 30 days after the demand, or the furnishing of a false or fraudulent statement, deprives the person so failing or refusing to furnish such statement of his or her lien. If the owner serves more than one demand for statement of account on a lienor and none of the information regarding the account has changed since the lienor’s last response to a demand, the failure or refusal to furnish such statement does not deprive the lienor of his or her lien. The negligent inclusion or omission of any information deprives the person of his or her lien to the extent the owner can demonstrate prejudice from such act or omission by the lienor. The failure to furnish a response to a demand for statement of account does not affect the validity of any claim of lien being enforced through a foreclosure case filed prior to the date the demand for statement is received by the lienor. (4) When a contractor has furnished a payment bond pursuant to s. 713.23, he or she may, when an owner makes any payment to the contractor or directly to a lienor, serve a written demand on any other lienor for a written statement under oath of his or her account showing the nature of the labor or services performed and to be performed, if any, the materials furnished, the materials to be furnished, if known, the amount paid on account to date, the amount due, and the amount to become due, if known, as of the date of the statement by the lienor. Any such demand to a lienor must be served on the lienor at the address and to the attention of any person who is designated to receive the demand in the notice to contractor served by such lienor. The failure or refusal to furnish the statement does not deprive the lienor of his or her rights under the bond if the demand is not served at the address of the lienor or directed to the attention of the person designated to receive the demand in the notice to contractor. The failure to furnish the statement within 30 days after the demand, or the furnishing of a false or fraudulent statement, deprives the person who fails to furnish the statement, or who furnishes the false or fraudulent statement, of his or her rights under the bond. If the contractor serves more than one demand for statement of account on a lienor and none of the information regarding the account has changed since the lienor’s last response to a demand, the failure or refusal to furnish such statement does not deprive the lienor of his or her rights under the bond. The negligent inclusion or omission of any information deprives the person of his or her rights under the bond to the extent the contractor can demonstrate prejudice from such act or omission by the lienor. The failure to furnish a response to a demand for statement of account does not affect the validity of any claim on the bond being enforced in a lawsuit filed prior to the date the demand for statement of account is received by the lienor. 4. If known, the actual cost of completion. (6) For purposes of this section, the term “information” means the nature and quantity of the labor, services, and materials furnished or to be furnished by a lienor and the amount paid, the amount due, and the amount to become due on the lienor’s account. (1) An owner of real property may request from the contractor a list of all subcontractors and suppliers who have any contract with the contractor to furnish any material or to perform any service for the contractor with respect to the owner’s real property or improvement to the real property. The request must be in writing and delivered by registered or certified mail to the address of the contractor shown in the contract or the recorded notice of commencement. (2) The contractor must within 10 days after receipt of the property owner’s written request, furnish to the property owner or the property owner’s agent a list of the subcontractors and suppliers who have a contract with the contractor as of the date the request is received by the contractor. If the contractor fails to furnish the list, the contractor thereby forfeits the contractor’s right to assert a lien against the owner’s property to the extent the owner is prejudiced by the contractor’s failure to furnish the list or by any omissions from the list. (3) A list furnished under this section shall not constitute a notice to owner. Whenever materials have been furnished to improve real property and payment therefor has not been made or waived, such materials shall not be subject to attachment, execution, or other legal process to enforce any debt due by the purchaser of such materials, except a debt due for the purchase price thereof, so long as in good faith the same are about to be applied to improve the real property; but if the owner has made payment for materials furnished and the materialman has not received payment therefor, such materials shall not be subject to attachment, execution, or other legal process to enforce the debt due for the purchase price. (a) By actual delivery to the person to be served; if a partnership, to one of the partners; if a corporation, to an officer, director, managing agent, or business agent; or, if a limited liability company, to a member or manager. (b) By sending the same by registered or certified mail, with postage prepaid, or by overnight or second-day delivery with evidence of delivery, which may be in an electronic format. (c) If the method specified in paragraph (a) or paragraph (b) cannot be accomplished, by posting on the premises. (2) Notwithstanding subsection (1), if a notice to owner, a notice to contractor under s. 713.23, or a preliminary notice under s. 255.05 is mailed by registered or certified mail with postage prepaid to the person to be served at any of the addresses set forth in subsection (3) within 40 days after the date the lienor first furnishes labor, services, or materials, service of that notice is effective as of the date of mailing if the person who served the notice maintains a registered or certified mail log that shows the registered or certified mail number issued by the United States Postal Service, the name and address of the person served, and the date stamp of the United States Postal Service confirming the date of mailing or if the person who served the notice maintains electronic tracking records generated through use of the United States Postal Service Confirm service or a similar service containing the postal tracking number, the name and address of the person served, and verification of the date of receipt by the United States Postal Service. (3) If an instrument served pursuant to this section to the last address shown in the notice of commencement or any amendment thereto or, in the absence of a notice of commencement, to the last address shown in the building permit application, or to the last known address of the person to be served, is not received, but is returned as being “refused,” “moved, not forwardable,” or “unclaimed,” or is otherwise not delivered or deliverable through no fault of the person serving the item, then service is effective on the date the instrument was sent. (4) If the real property is owned by more than one person or a partnership, a lienor may serve any notices or other papers under this part on any one of such owners or partners, and such notice is deemed notice to all owners and partners. A lien or prospective lien, except that of a laborer, may be assigned by the lienor at any time before its discharge. The assignment may be recorded in the clerk’s office. (1) The acceptance by the lienor of an unsecured note for all or any part of the amount of his or her demand shall not constitute a waiver of his or her lien therefor unless expressly so agreed in writing, nor shall it in any way affect the period for filing the notice under s. 713.06(2), or the claim of lien under s. 713.08. (2) A right to claim a lien may not be waived in advance. A lien right may be waived only to the extent of labor, services, or materials furnished. Any waiver of a right to claim a lien that is made in advance is unenforceable. (3) Any person may at any time waive, release, or satisfy any part of his or her lien under this part, either as to the amount due for labor, services, or materials furnished or for labor, services, or materials furnished through a certain date subject to exceptions specified at the time of release, or as to any part or parcel of the real property. (6) A person may not require a lienor to furnish a lien waiver or release of lien that is different from the forms in subsection (4) or subsection (5). (7) A lienor who executes a lien waiver and release in exchange for a check may condition the waiver and release on payment of the check. However, in the absence of a payment bond protecting the owner, the owner may withhold from any payment to the contractor the amount of any such unpaid check until any such condition is satisfied. (8) A lien waiver or lien release that is not substantially similar to the forms in subsections (4) and (5) is enforceable in accordance with the terms of the lien waiver or lien release. A lien properly perfected under this chapter1 may be discharged by any of the following methods: (1) By entering satisfaction of the lien upon the margin of the record thereof in the clerk’s office when not otherwise prohibited by law. This satisfaction shall be signed by the lienor, the lienor’s agent or attorney and attested by said clerk. Any person who executes a claim of lien shall have authority to execute a satisfaction in the absence of actual notice of lack of authority to any person relying on the same. (2) By the satisfaction of the lienor, duly acknowledged and recorded in the clerk’s office. Any person who executes a claim of lien shall have authority to execute a satisfaction in the absence of actual notice of lack of authority to any person relying on the same. (3) By failure to begin an action to enforce the lien within the time prescribed in this part. (4) By an order of the circuit court of the county where the property is located, as provided in this subsection. Upon filing a complaint therefor by any interested party the clerk shall issue a summons to the lienor to show cause within 20 days why his or her lien should not be enforced by action or vacated and canceled of record. Upon failure of the lienor to show cause why his or her lien should not be enforced or the lienor’s failure to commence such action before the return date of the summons the court shall forthwith order cancellation of the lien. (5) By recording in the clerk’s office the original or a certified copy of a judgment or decree of a court of competent jurisdiction showing a final determination of the action. (1) No lien provided by this part shall continue for a longer period than 1 year after the claim of lien has been recorded or 1 year after the recording of an amended claim of lien that shows a later date of final furnishing of labor, services, or materials, unless within that time an action to enforce the lien is commenced in a court of competent jurisdiction. The continuation of the lien effected by the commencement of the action shall not be good against creditors or subsequent purchasers for a valuable consideration and without notice, unless a notice of lis pendens is recorded. You are notified that the undersigned contests the claim of lien filed by you on ___, (year) , and recorded in ___ Book ___, Page ___, of the public records of___ County, Florida, and that the time within which you may file suit to enforce your lien is limited to 60 days from the date of service of this notice. This ___ day of ___, (year) . (1)(a) The payment bond required to exempt an owner under this part shall be furnished by the contractor in at least the amount of the original contract price before commencing the construction of the improvement under the direct contract, and a copy of the bond shall be attached to the notice of commencement when the notice of commencement is recorded. The bond shall be executed as surety by a surety insurer authorized to do business in this state and shall be conditioned that the contractor shall promptly make payments for labor, services, and material to all lienors under the contractor’s direct contract. Any form of bond given by a contractor conditioned to pay for labor, services, and material used to improve real property shall be deemed to include the condition of this subsection. (b) The owner, contractor, or surety shall furnish a true copy of the bond at the cost of reproduction to any lienor demanding it. Any person who fails or refuses to furnish the copy without justifiable cause shall be liable to the lienor demanding the copy for any damages caused by the refusal or failure. The undersigned notifies you that he or she has furnished or is furnishing (services or materials) for the improvement of the real property identified as (property description) owned by (owner’s name and address) under an order given by ___ and that the undersigned will look to the contractor’s bond for protection on the work. You are notified that the undersigned contests your notice of nonpayment, dated _____, _____, and served on the undersigned on _____, _____, and that the time within which you may file suit to enforce your claim is limited to 60 days from the date of service of this notice. (f) Any lienor has a direct right of action on the bond against the surety. A bond must not contain any provisions restricting the classes of persons protected thereby or the venue of any proceeding. The surety is not entitled to the defense of pro tanto discharge as against any lienor because of changes or modifications in the contract to which the surety is not a party; but the liability of the surety may not be increased beyond the penal sum of the bond. A lienor may not waive in advance his or her right to bring an action under the bond against the surety. You are notified that the claim of lien filed by you on___, ___, and recorded in Official Records Book___ at page___ of the public records of___ County, Florida, is secured by a bond, a copy being attached. BY THIS BOND We, ___, as Principal, and ___, a corporation, as Surety, are bound to ___, herein called Owner, in the sum of $___ for the payment of which we bind ourselves, our heirs, personal representatives, successors, and assigns, jointly and severally. (4) The provisions of s. 713.24(3) shall apply to bonds under this section. (5) A waiver and release of lien pursuant to s. 713.20 given by a lienor shall constitute a waiver and release in a like amount of the lienor’s right to make a claim against a payment bond under this section. (3) A person may not require a claimant to furnish a waiver that is different from the forms in subsections (1) and (2). (4) A person who executes a waiver in exchange for a check may condition the waiver on payment of the check. (5) A waiver that is not substantially similar to the forms in this section is enforceable in accordance with its terms. (b) Filing in the clerk’s office a bond executed as surety by a surety insurer licensed to do business in this state, either to be in an amount equal to the amount demanded in such claim of lien, plus interest thereon at the legal rate for 3 years, plus $1,000 or 25 percent of the amount demanded in the claim of lien, whichever is greater, to apply on any attorney’s fees and court costs that may be taxed in any proceeding to enforce said lien. Such deposit or bond shall be conditioned to pay any judgment or decree which may be rendered for the satisfaction of the lien for which such claim of lien was recorded. Upon making such deposit or filing such bond, the clerk shall make and record a certificate showing the transfer of the lien from the real property to the security and shall mail a copy thereof by registered or certified mail to the lienor named in the claim of lien so transferred, at the address stated therein. Upon filing the certificate of transfer, the real property shall thereupon be released from the lien claimed, and such lien shall be transferred to said security. In the absence of allegations of privity between the lienor and the owner, and subject to any order of the court increasing the amount required for the lien transfer deposit or bond, no other judgment or decree to pay money may be entered by the court against the owner. The clerk shall be entitled to a service charge for making and serving the certificate, in the amount of up to $20. If the transaction involves the transfer of multiple liens, an additional charge of up to $10 for each additional lien shall be charged. For recording the certificate and approving the bond, the clerk shall receive her or his usual statutory service charges as prescribed in s. 28.24. Any number of liens may be transferred to one such security. (2) Any excess of the security over the aggregate amount of any judgments or decrees rendered plus costs actually taxed shall be repaid to the party filing the same or her or his successor in interest. Any deposit of money shall be considered as paid into court and shall be subject to the provisions of law relative to payments of money into court and the disposition of same. (3) Any party having an interest in such security or the property from which the lien was transferred may at any time, and any number of times, file a complaint in chancery in the circuit court of the county where such security is deposited, or file a motion in a pending action to enforce a lien, for an order to require additional security, reduction of security, change or substitution of sureties, payment of discharge thereof, or any other matter affecting said security. If the court finds that the amount of the deposit or bond in excess of the amount claimed in the claim of lien is insufficient to pay the lienor’s attorney’s fees and court costs incurred in the action to enforce the lien, the court must increase the amount of the cash deposit or lien transfer bond. Nothing in this section shall be construed to vest exclusive jurisdiction in the circuit courts over transfer bond claims for nonpayment of an amount within the monetary jurisdiction of the county courts. (4) If a proceeding to enforce a transferred lien is not commenced within the time specified in s. 713.22 or if it appears that the transferred lien has been satisfied of record, the clerk shall return said security upon request of the person depositing or filing the same, or the insurer. If a proceeding to enforce a lien is commenced in a court of competent jurisdiction within the time specified in s. 713.22 and, during such proceeding, the lien is transferred pursuant to this section or s. 713.13(1)(e), an action commenced within 1 year after the transfer, unless otherwise shortened by operation of law, in the same county or circuit court to recover against the security shall be deemed to have been brought as of the date of filing the action to enforce the lien, and the court shall have jurisdiction over the action. (a) The bond is listed in the notice of commencement for the project as a conditional payment bond and is recorded together with the notice of commencement for the project prior to commencement of the project. (b) The words “conditional payment bond” are contained in the title of the bond at the top of the front page. (c) The bond contains on the front page, in at least 10-point type, the statement: THIS BOND ONLY COVERS CLAIMS OF SUBCONTRACTORS, SUB-SUBCONTRACTORS, SUPPLIERS, AND LABORERS TO THE EXTENT THE CONTRACTOR HAS BEEN PAID FOR THE LABOR, SERVICES, OR MATERIALS PROVIDED BY SUCH PERSONS. THIS BOND DOES NOT PRECLUDE YOU FROM SERVING A NOTICE TO OWNER OR FILING A CLAIM OF LIEN ON THIS PROJECT. (2) Except as specified in this section, all bonds issued under this section must conform to the requirements of s. 713.23(1)(a), (b), (f), and (4). No action shall be instituted or prosecuted against the contractor or the surety after 1 year from the date the lien is transferred to the bond. (3) The owner’s property is not exempt from liens filed under this part. All lienors must comply with the provisions of this part to preserve and perfect those lien rights. Under penalties of perjury, the undersigned certifies that the bond recorded with this certificate conforms with s. 713.245, F.S., that the bond is in full force and effect, and that the contractor has been paid $___ for the labor, services, and materials described in the Claim of Lien filed by ______ dated ___, (year) , and recorded ______, (year) , in Official Records Book ___ at Page ___ of the Public Records of ______ County, Florida. Dated this ______ day of ______, (year) . (5) The clerk shall serve a copy of the notice, the bond, and the certificate on the contractor, the surety, and the lienor; certify to the service on the face of the notice, the bond, and the certificate; record the notice, the bond, and the certificate; and collect a fee in accordance with s. 713.23(2). The undersigned joins in the Certificate of Payment to the Contractor recorded on _____, (year) , in Official Records Book _____ at Page _____ of the Public Records of _____ County, Florida, and certifies that the facts stated in the Certificate of Payment to the Contractor are true and correct. Dated this _____ day of _____, (year) . (7) The clerk shall serve the joinder in certificate of payment on the owner, the surety, and the lienor; certify to the service on the face of the joinder; record the joinder; and collect a fee in accordance with s. 713.23(2). Under penalties of perjury, the undersigned certifies that the contractor has not been paid or has only been paid $_____ for the labor, services, and materials described in the Certificate of Payment to the Contractor recorded in Official Records Book ___ at Page ___ of the Public Records of _____ County, Florida. Dated this ___ day of ______, (year) . Sworn to (or affirmed) and subscribed before me this ___ day of ______, (year) , by (name of person making statement) . (9) The clerk shall serve a copy of the notice of contest of payment on the owner, the lienor, and the surety; certify service on the face of the notice; record the notice; and collect a fee in accordance with s. 713.23(2). (10) If the contractor has signed the certificate of payment to the contractor or the joinder in the certificate or the contractor fails to record a notice of contest of payment within 15 days after the date the clerk certifies service of a certificate of payment to the contractor signed by the owner, the lien shall transfer to the bond to the extent of payment specified in the certificate of payment to the contractor. To the extent the lien exceeds the amount specified in the certificate of payment to the contractor, such amount shall remain as a lien on the owner’s property. The surety may assert all claims or defenses of the owner regarding the validity of the claim of lien or of the contractor regarding the amount due the lienor. (11) If the notice of contest of payment specifies that the contractor has been paid a portion of the amount due the lienor, the lien shall transfer to the bond to the extent of the payment specified in the notice of contest of payment. To the extent the lien exceeds the amount specified in the notice of contest of payment, such amount shall remain as a lien on the owner’s property. The surety may assert all claims or defenses of the owner regarding the validity of the claim of lien or of the contractor regarding the amount due the lienor. (12) If there are any material misstatements of fact made by the owner or the contractor in any certificate of payment to the contractor, or by the contractor in any notice of contest of payment, the person making the material misstatement is guilty of a felony of the third degree, punishable as provided in s. 775.082, s. 775.083, or s. 775.084. The penalties apply individually and to the business entity if the false certificate is signed in a representative capacity. (13) The certificate of payment to the contractor and the notice of contest of payment must be signed by the owner or the contractor individually if she or he is a natural person, by the general partner if the owner or the contractor is a limited partnership, by a partner if the owner or the contractor is a general partnership, by the president or a vice president if the owner or the contractor is a corporation, or by any authorized agent if the owner or the contractor is any other type of business entity. (14) In an action to enforce a lien, the owner shall not be considered the prevailing party solely because the lien is transferred to a conditional payment bond after the action to enforce the lien is brought. This act shall take effect on July 1, 1965, but shall not apply to any act required to be done within a time period which is running on that date nor shall apply to existing projects where its operation would impair vested rights. The right of redemption upon all sales under this part shall exist in favor of the person whose interest is sold and may be exercised in the same manner as is or may be provided for redemption of real property from sales under mortgages. An owner or other person holding funds for disbursement on an improvement shall have the right to interplead such lienor and any other person having or claiming to have an interest in the real property improved or a contract relating to the improvement thereof, whenever there is a dispute between lienors as to the amounts due or to become due them. If the court decrees the interpleader, it may transfer all claims to the funds held by the plaintiff. In such case the court shall require said fund to be deposited in registry of court and, effective upon such deposit, shall decree the real property to be free of all liens and claims of lien of the parties to the suit. (2) In any action heretofore or hereafter brought a court may, either before or after the final adjudication, award a summary money judgment or decree in favor of any party. This shall not preclude the rendition of other judgments or decrees in the action. In any action brought to enforce a lien or to enforce a claim against a bond under this part, the prevailing party is entitled to recover a reasonable fee for the services of her or his attorney for trial and appeal or for arbitration, in an amount to be determined by the court, which fee must be taxed as part of the prevailing party’s costs, as allowed in equitable actions. (1) When the owner or any lienor shall, by fraud or collusion, deprive or attempt to deprive any lienor of benefits or rights to which such lienor is entitled under this part by establishing or manipulating the contract price or by giving false affidavits, releases, invoices, worthless checks, statements, or written instruments permitted or required under this part relating to the improvement of real property hereunder to the detriment of any such lienor, the circuit court in chancery shall have jurisdiction, upon a complaint filed by such lienor, to issue temporary and permanent injunctions, order accountings, grant discovery, utilize all remedies available under creditors’ bills and proceedings supplementary to execution, marshal assets, and exercise any other appropriate legal or equitable remedies or procedures without regard to the adequacy of a remedy at law or whether or not irreparable damage has or will be done. (c) An owner against whose interest in real property a fraudulent lien is filed, or any contractor, subcontractor, or sub-subcontractor who suffers damages as a result of the filing of the fraudulent lien, shall have a right of action for damages occasioned thereby. The action may be instituted independently of any other action, or in connection with a summons to show cause under s. 713.21, or as a counterclaim or cross-claim to any action to enforce or to determine the validity of the lien. The prevailing party in an action under this paragraph may recover reasonable attorney’s fees and costs. If the lienor who files a fraudulent lien is not the prevailing party, the lienor shall be liable to the owner or the defrauded party who prevails in an action under this subsection in damages, which shall include court costs, clerk’s fees, a reasonable attorney’s fee and costs for services in securing the discharge of the lien, the amount of any premium for a bond given to obtain the discharge of the lien, interest on any money deposited for the purpose of discharging the lien, and punitive damages in an amount not exceeding the difference between the amount claimed by the lienor to be due or to become due and the amount actually due or to become due. When the proceeds of a construction or improvement loan or any portion thereof are being disbursed by a person other than the owner, any affidavit, notice or other instrument which is permitted or required under this part to be furnished to the owner may be relied upon by such other person in making such disbursements to the same extent as the owner is entitled to rely upon the same. 1. If the amount of payments misapplied has an aggregate value of $125,000 or more, the violator is guilty of a felony of the first degree, punishable as provided in s. 775.082, s. 775.083, or s. 775.084. 2. If the amount of payments misapplied has an aggregate value of $1,000 or more but less than $125,000, the violator is guilty of a felony of the second degree, punishable as provided in s. 775.082, s. 775.083, or s. 775.084. 3. If the amount of payments misapplied has an aggregate value of less than $1,000, the violator is guilty of a felony of the third degree, punishable as provided in s. 775.082, s. 775.083, or s. 775.084. (2) This section does not apply to mortgage bankers or their agents, servants, or employees for their acts in the usual course of the business of lending or disbursing mortgage funds. (1) Any person who receives a payment for constructing or altering permanent improvements to real property shall pay, in accordance with the contract terms, the undisputed contract obligations for labor, services, or materials provided on account of such improvements. (2) The failure to pay any undisputed obligations for such labor, services, or materials within 30 days after the date the labor, services, or materials were furnished and payment for such labor, services, or materials became due, or within 30 days after the date payment for such labor, services, or materials is received, whichever last occurs, shall entitle any person providing such labor, services, or materials to the procedures specified in subsection (3) and the remedies provided in subsection (4). (a) The existence of a contract, as defined in s. 713.01, to improve real property. (b) A description of the labor, services, or materials provided and alleging that the labor, services, or materials were provided in accordance with the contract. (c) The amount of the contract price. (d) The amount, if any, paid pursuant to the contract. (e) The amount that remains unpaid pursuant to the contract, and the amount thereof that is undisputed. (f) That the undisputed amount has remained due and payable pursuant to the contract for more than 30 days after the date the labor or services were accepted or the materials were received. (g) That the person against whom the complaint was filed has received payment on account of the labor, services, or materials described in the complaint more than 30 days prior to the date the complaint was filed. (a) An accounting of the use of any such payment from the person who received such payment. (b) A temporary injunction against the person who received the payment, subject to the bond requirements specified in the Florida Rules of Civil Procedure. (c) Prejudgment attachment against the person who received the payment, in accordance with each of the requirements of chapter 76. (d) Such other legal or equitable remedies as may be appropriate in accordance with the requirements of the law. (5) The remedies specified in subsection (4) must be granted without regard to any other remedy at law and without regard to whether or not irreparable damage has occurred or will occur. (a) To the extent of a bona fide dispute regarding any portion of the contract price. (b) In the event the plaintiff has committed a material breach of the contract which would relieve the defendant from the obligations under the contract. (7) The prevailing party in any proceeding under this section is entitled to recover costs, including a reasonable attorney’s fee, at trial and on appeal. (3)(a) If the lender and the borrower have designated a portion of the construction loan proceeds, the borrower may not authorize the lender to disburse the funds so designated for any other purpose until the owner serves the contractor and any other lienor who has given the owner a notice to owner with written notice of that decision, including the amount of such loan proceeds to be disbursed. For the purposes of this subsection, the term “designated construction loan proceeds” means that portion of the loan allocated to actual construction costs of the facility and shall not include allocated loan proceeds for tenant improvements where the contractor has no contractual obligation or work order to proceed with such improvements. The lender shall not be liable to the contractor based upon the reallocation of the loan proceeds or the disbursement of the loan proceeds if the notice is timely given in accordance with this subsection and the decision is otherwise permitted under the loan documents. (b) If the lender is permitted under the loan documents to make disbursements from the loan contrary to the original loan budget without the borrower’s prior consent, the lender is responsible for serving the notice to the contractor or other lienor required under this subsection. (e) The owner or the lender is not required to give notice to the contractor or any other lienor under this subsection unless the total amount of all disbursements described in paragraph (a) exceed 5 percent of the original amount of the designated construction loan proceeds or $125,000, whichever is less. This part shall not be subject to a rule of liberal construction in favor of any person to whom it applies.